The scaffolding is finally down at 724 5th (23rd Street), revealing a box of an apartment building that still awaits its (Juliet?) balconies. 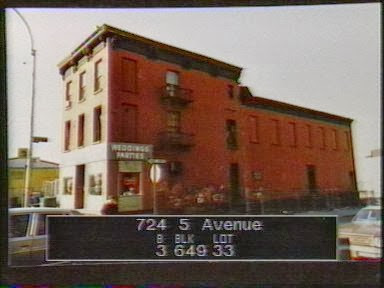 This one, an "enlargement & conversion" of the old White Eagle Tavern seems to have dragged along forever. Here are a few earlier pics. of the corner. 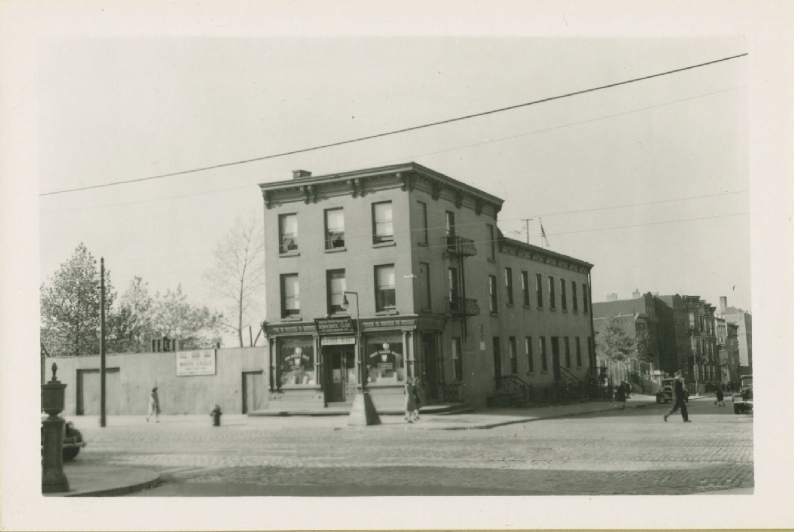 In earlier years the White Eagle Tavern was known as the White Eagle Hall, and was headquarters to an area Polish Democratic club. Along with Our Lady of Czestochowa, on 25th Street, the Hall served as one of the key institutions of the sizable Polish community. 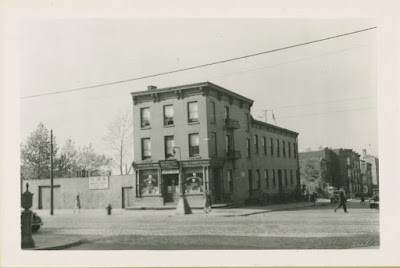 The Brooklyn Eagle has several articles about events at the Hall, my favorite of which is one dating back to July, 1918, when the Polish White Cross held a benefit party for the Polish National Army in France. Dancing took place ... and a lawn fete was featured in a large enclosed yard adjoining (above, left?). Various articles which had been donated were sold, and these included two parrots, which are said to speak Polish fluently ... One of the best circles of the organization throughout the entire country is Circle No. 2 of South Brooklyn, which was hostess of last night's most successful benefit. "The Mind is its own Place"